Targeted advertising produces best results for your products or service. 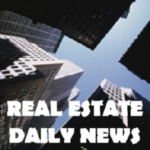 At the Real Estate Daily News, you can advertise your business, promote your cause or just give a shout out to the real estate industry. Our ads are not only an affordable way of reaching the real estate community in Arizona, our readership also reaches into Southern California, Nevada, Oklahoma, and West Texas, and an ever-expanding readership throughout the U.S. and Canada, with 10,000 emails delivered daily. Over 32,000 visits (and growing) to our site each month. 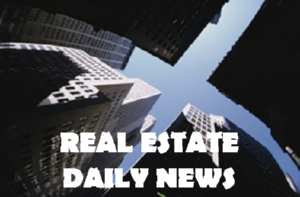 Reach a targeted real estate audience with our daily broadcasts. If you don’t have artwork, we can help. Want a link back to all your website / listings? Discounts? No problem – Just Call. Most advertising slots contains a maximum of 8 ads. Ads will rotate every 5.4 seconds; when the page is refreshed; or when the user clicks on another page within the website. If you desire exclusivity, you will need to purchase all 8 advertising slots within that position. All ads must be pre-approved. Be sure to include Image to be approved and URL if you will be linking to a website. Send your request to: REDailyNews@outlook.com or contact us at (520) 877-2656.